In the short forward to his classic 1917 tome The Ideal Bartender, Tom Bullock, a St. Louis bartender and the first African American to publish a cocktail recipe book, mused, "Is it any wonder that mankind stands open-mouthed before the bartender, considering the mysteries and marvels of an art that borders on magic?" Widely considered an American invention, it wasn&apos;t until Prohibition ended in 1933 that cocktail lounges began to sprout up across Chicago, replacing the traditional, beer and straight hard liquor focused saloons. The originals of the Chicago Fizz are murky. 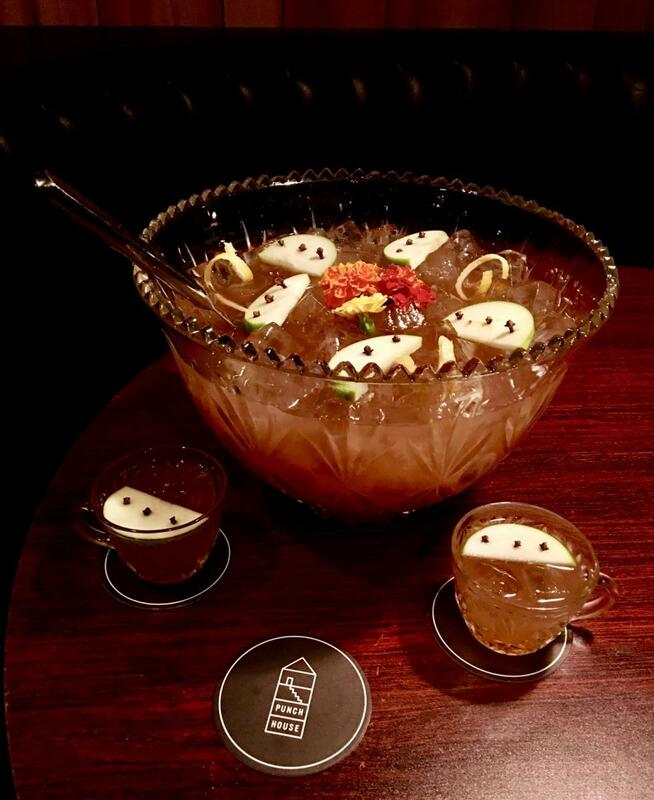 What we do know is that this effervescent cocktail traveled from Chicago to New York City&apos;s Waldorf-Astoria bar. In barman Albert S. Crockett&apos;s The Old Waldorf Astoria Bar Book (1935), he notes that the cocktail is "an importation from the Windy City long before bombs, machine guns and sawed-off shotguns had come to disturb its peaceful life." Rum, port wine, lemon juice and an egg white make the Chicago Fizz an effervescent sip with a sweet pink tone. 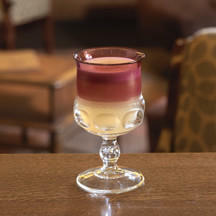 Chicago Daily News reporter John Drury included the recipe for this fine dessert cocktail in his 1931 guide Dining in Chicago, noting that it had been served at the American Bar in Nice and the Embassy Club in London. It also appeared in the 1930 Savoy Cocktail Book. Two dashes of Angostura Biters are set off by three dashes of Curacao. A pinch of Brandy makes for a tipsy cocktail . . . but the final pour of champagne on the top make it an absolute, celebratory delight of a cocktail. Though it is considered a Chicago-born cocktail, Cohasset Punch was actually first concocted in the eponymous Massachusetts bayside town. Gus Williams, a Chicago bartender-for-hire, created the drink for his employer, popular actor William H. Crane, a celebrity in his time (1845–1928). 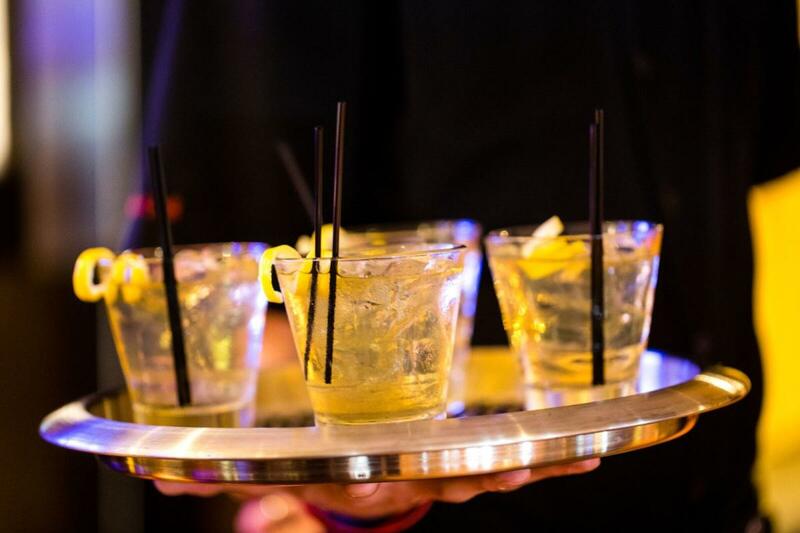 The cocktail made its debut at a Gatsbyesque Cohasset party hosted by Crane. Sweet with a packed punch that hits you after one or two, Williams&apos; cocktail was such a a hit that by 1916, he was able to sell his one-of-a-kind recipe (which includes rum, vermouth, orange bitters and . . . a canned peach and its juices) to Ladner Bros., a saloon at 207 W. Madison Avenue. After Prohibition, Ladner Bros. built its business on the popular punch, their once-iconic sign featured an East Coast lighthouse while "Home of Cohasset Punch" flashed in pink neon.